Since most of the provisions of tax reform took effect in 2018, the current tax-filing season is the first one in which companies are filing returns based on the legislation. Here’s a close look at three provisions of the TCJA that are having a big impact on companies so far. The TCJA replaced the graduated corporate tax rate schedule that featured a top rate of 35 percent with a new flat rate of 21 percent. It also repealed the 20 percent corporate Alternative Minimum Tax (AMT). Many economists have attributed the solid economic growth that the country enjoyed last year — when GDP growth topped 3 percent for the first time in over a decade — largely to this lowering of the corporate tax rate. It’s important to note that the new 21 percent corporate tax rate only applies to C corporations, not pass-through entities like LLCs, partnerships, sole proprietorships and S corporations. The president and Congress wanted to enable these types of businesses to also benefit from tax reform, so the legislation includes a new 20 percent deduction for what’s referred to as qualified business income (QBI). The IRS defines QBI as “the net amount of qualified items of income, gain, deduction and loss from any qualified trade or business.” The deduction is claimed by subtracting 20 percent of QBI from your adjusted gross income (AGI) on your individual income tax return. The QBI deduction effectively lowers the top tax rate for pass-through entities by a full ten percentage points: from 39.6 percent before tax reform to 29.6 percent now. There has been much confusion among owners of pass-through businesses and even some tax professionals about the QBI deduction due to limits that were placed on the deduction. These limits are intended to prevent high-earning professional service providers (such as doctors and lawyers) from claiming the deduction for what is essentially income from their own labor. So the deduction phases out for these types of service providers once their AGI exceeds $160,725 for single taxpayers and $321,400 for married taxpayers filing jointly in 2019. For some other types of pass-through entities, the deduction is reduced or eliminated if it exceeds 50 percent of W-2 wages paid, or 25 percent of wages paid plus 2.5 percent of the business’s tangible depreciable property. The TCJA also expanded first-year bonus depreciation under IRC Section 168(k). You can now immediately expense and deduct 100 percent of the cost of qualifying assets your business places in service between September 27, 2017 and December 31, 2022. This is another business-friendly tax reform provision that many economists believe has contributed to strong economic growth and job creation, since it helps accelerate business investment and boost productivity. There is a wide range of different types of business assets that qualify for first-year bonus depreciation, including office furniture, machinery and equipment, business vehicles, computers and computer software, and telecommunication systems. Unlike the lower corporate tax rate, this benefit isn’t permanent. Starting in 2023, bonus depreciation will be reduced by 20 percent per year, phasing out completely by 2027. Therefore, you should plan future equipment acquisitions with this timeframe in mind. Like the QBI deduction, there has been some confusion among business owners about first-year bonus depreciation. The IRS issued proposed regulations recently to help clear things up. For example, the regs clarify that used property is now eligible for bonus depreciation if it wasn’t used by the business or a predecessor at any time prior to its acquisition. The regulations also stipulate that assets must be depreciated under the Modified Accelerated Cost Recovery System (MACRS) with a recovery period of 20 years or less. In addition, qualified improvement property (QIP) no longer qualifies for first-year bonus depreciation if the property is acquired and placed in service after December 31, 2017. Tax reform placed new limits on business deductions of loan interest for mid-sized and large businesses. If your company had average gross receipts of $25 million or more for the preceding three years, you can only deduct net interest costs up to 30 percent of earnings before interest, taxes, depreciation and amortization (EBITDA). The legislation doesn’t make exceptions for debt that was incurred before the law was passed, so many businesses are being impacted by this provision right now. Moreover, in 2022, the 30 percent limit will no longer apply to EBITDA, but to earnings before interest and taxes — which means that even more businesses will likely be impacted. Therefore, you and your CPA should keep a close eye on this provision over the next couple of years. The current tax-filing season is the first one in which companies are filing returns based on the tax reform legislation that passed in late 2017. Several provisions of tax reform are having a big impact on companies filing their 2018 tax returns now. These include the new lower corporate tax rate and pass-through entity deduction, expansion of first-year bonus depreciation, and capping of interest rate deductions. 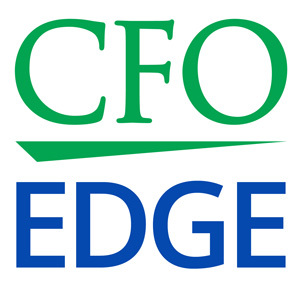 A project CFO or part-time CFO from a local CFO services firm can help you plan financial and tax strategies based on this legislation. New Pass-Through Entity Deduction: Could You Benefit? Should You Convert to C Corporation Status?